I first found out about this ingenious sports bra by stumbling upon the founder’s Instagram. A sports bra with a built in mesh pocket for a water bottle. It seemed so smart, so obvious, that I couldn’t believe that I hadn’t come up with it. I waited about 6 months until I finally gave in and bought one during a promo. Pricing: I paid $10 for the standard version instead of $20. Compared to some standard, non-padded, non-adjustable strap sports bra, it’s a deal. Sizing: I normally wear a 36B and ordered a Medium. It fit perfectly. Comfort and Stability: From a bra-perspective I felt very supported. The bra didn’t move around when I did and stayed put throughout my workouts. The water bottle (I carried a standard sized, store bought 12oz water bottle) made the back of the bra feel a little tighter, but not comfortably so. I was worried it’d feel tight like a corset, but it was like you moved up your bra one clasp. I was concerned that the bottle would bounce, rub against by back and just feel heavy. The bottle did not move at all. At. All. I felt it slightly when I started to sweat, just because my sweat started to pool but it caused no chaffing issues. How I wore it: Most of the users on the Hydropocket Instagram page wear just the bra (as they should, because they’re beasts and I want to be like them when I grow up). I’m more modest so both times I wore it was under a racer back tank top. This allowed coverage and still allowed me to have easy access to the bottle. I wouldn’t want to wear it with a normal running t shirt because it may make me look like a hunchback and make it harder to grab your water. I haven’t tried putting the bottle back Ito the pocket while running (I’m not that coordinated so I’m working my way up to trying it), but I think it’s something you would get used to. Just like eating a gel, drinking water cups at aid stations or putting your phone back in your fuel belt. How I plan to keep using it: I won’t be using it to completely replace my handheld water, but I think it’s a good backup for long runs (like an 18-20 miler) where you’re likely to run out of your normal stores or if you’re doing a run/race where you want your hands free. I wore it during Sunday’s City Challenge Obstacle Course Race (OCR) and it was absolutely perfect. The course had one water stop so I was able to carry my own without compromising my performance on the course. 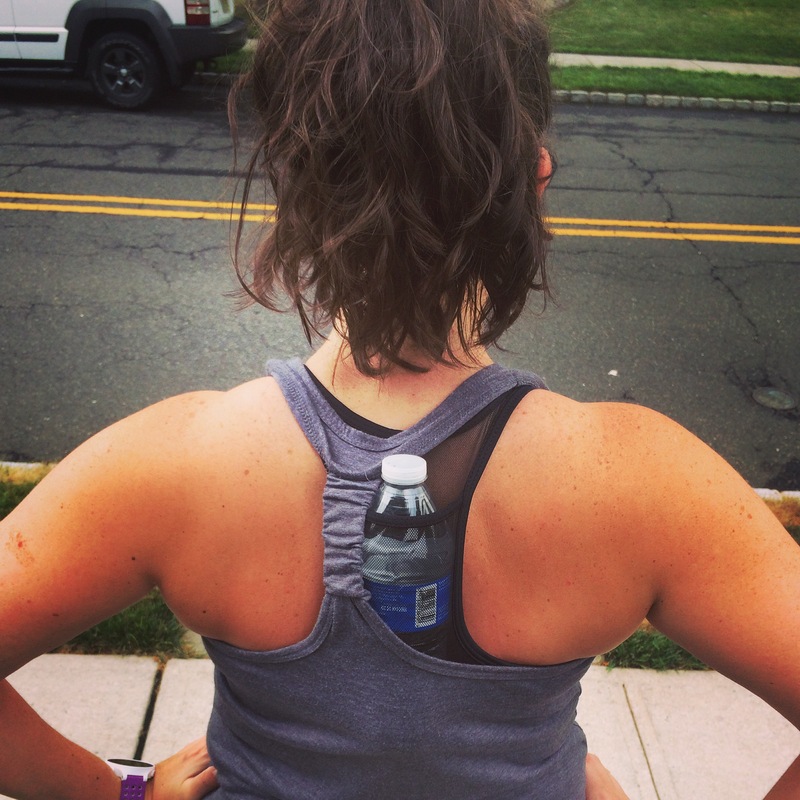 Possible unintended use: if you freeze the water bottle before placing in the pocket, it’s like you’re walking around with your own personal AC during summer workouts. Bottom line, if you’re exploring different hydration techniques, this is absolutely something worth trying. It keeps your hands free, there’s no belt to cut you awkwardly in race photos and it’s extremely comfortable. If you’re a run/walker or a OCR chick, I HIGHLY recommend this. Hydration is important guys. Why not make it comfortable? 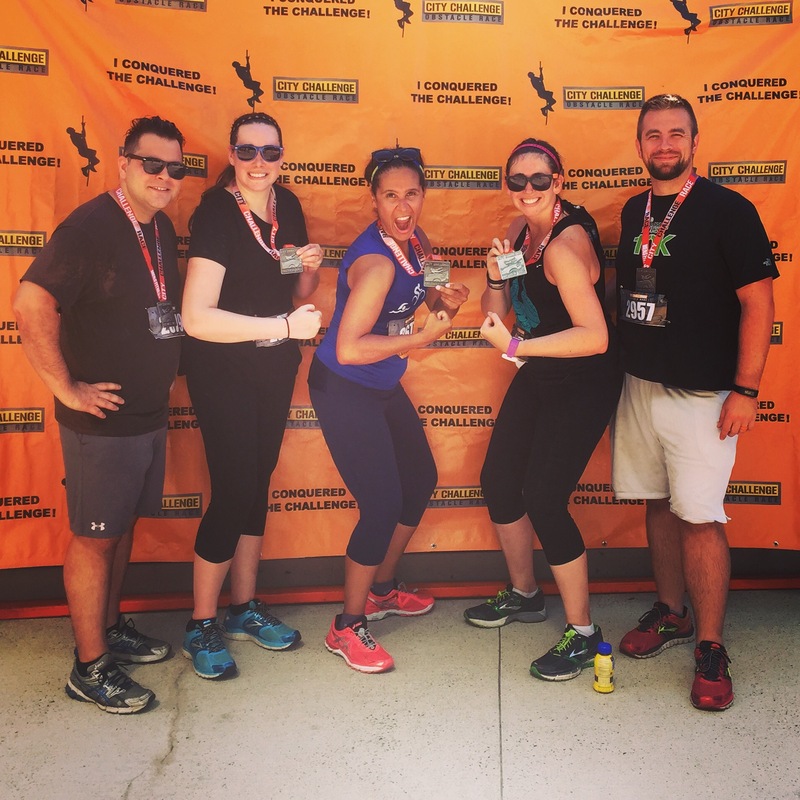 August 3, 2015 in Beginner Runner Tips, Katie, Product Reviews.